• A program Associate will be based in Masasi, Mtwara and will be responsible to support, train, and coach a team of 10 – 30 people and assist other team leaders to hire, retain and develop their teams to reach client’s goals. • Will design, iterate and improve models to serve smallholder farmers and work in close collaboration with the agricultural teams, design marketing, tools and processes to test and scale innovative new products to increase farmer adoption and income. • Develop and share a program dashboard and perform regular data analysis to improve performance of field districts. • Develop professional performance plans, trainings and tools to support the leadership development of new and mid-level managers to take on increasing responsibilities to support future growth. • A qualified candidate must have at least 3 years work experience and significant project or team management and at least 1 year experience in rural development projects. • Must hold a bachelor’s degree in Project Management or any related field. • Strong MS Office experience, particularly using Excel, results oriented. • Should have experience working in project managements. • A Program Manager will manage systems and operations including Logistics and distribution, IT, Finance and Administration as well as set strategy, build processes and systems, and develop a team to help drive growth and impact. • Work with Finance to set the budget for Operations and assess performance against it. • Manage IT staff to ensure Tanzania field and headquarters staff have technical services and equipment necessary to execute effectively. • Manage Logistics team to ensure cost-effective, timely sourcing and delivery of services and products for staff and farmersand ensure robust forecasting of timing, cost, and methods for delivery season. • Ensure team stays compliant with procurement rules and guidelines and ensure donor guidelines are respected. • A qualified candidate must hold minimum a bachelor’s degree with 5+ years of relevant work experience and at least 2 years of international, developing country experience in a similar social enterprise or project management role. • Strong skills in Excel and comfortable working with big datasets. • Comfort in a fast-paced, startup environment with operations in a developing country. • The Country Director will be responsible for the administration of core program (including developing key operational processes to increase efficiency during a period of rapid growth), as well as pilot development, program budgeting, M&E, management of the current team and growing it. • Recruit, train, and invest in the professional development of strong Tanzanian leadership in all key departments. • Develop tools, trainings, dashboards for sharing the strategy, goals and objectives with the Tanzania teams and regularly reinforce progress, remove bottlenecks and implement strategy. • Produce and present regular progress and management reports to Senior Management Team and Board of Directors. • A qualified candidate must hold minimum a bachelor’s degree in Social Sciences with over 10 years professional work experience with at least 3 years in an organizational leadership role with a mix of non-profit and corporate roles, with experience implementing projects in developing countries. • Should have experience in planning, managing and executing a large budget. • Exceptional creative problem-solving skills - work effectively in a challenging and resource-constrained environment. • A client, a hospitality industry based in Dar essalaam is looking to hire Food and Beverage Controller who will be responsible to control the ordering, purchasing and issuing of food and beverage goods. • Control the Food and Beverage outlets in terms of wastage, pilferage and efficiency and prepare variance analysis for food & beverage and communicating with relevant parties. • Check and ensure that no material is issued out from the store without requisition or approval from the respective department head. • Ensure that the production (kitchen/ Bar) is using the Standard Recipes for consistent service and cost controls. • All complimentary drinks/ food must have the endorsement of the F&B controller. • Staff Meals at the cafeteria must have the endorsement of the F&B controller for quality, quantity and consistency with standard recipes. • Check the cost of sales in all F&B outlets and ensure that the costs are within budget and ensure the correct prices are loaded. • Ensure that all the running orders are keyed-in the system at the kitchen and outlet- check that the orders are keyed inline with the SOP and assigned value. • Ensure that the checks/ bills are presented to the guests, money collected and TRA receipts are duly drawn stapled with the check and given to the guest (as per law). • Ensure that KOTs/ other guests’ checks are not used for collection of money- only fresh bills are generated for the same. • Check the excess/ shortage of Beverage (running and corked) daily, and question the concerned handler/s for the same to seek logical inputs for variance. • Check the excess/ shortage of tobacco daily and seek inputs on variance. • Check the daily Food & Beverage revenues report submitted by the income audit for the accuracy of covers and average check. • Responsible for preparing daily and monthly Food and Beverage Report and distribute to management. • A qualified candidate should hold a Bachelor’s degree in food and beverage management or a closely-related field. • At least 5 years’ experience at the same role with an up-scale (4/5 Star) hospitality environment. • Will report directly to the FC and/or the Head of Operations. • He/She must possess excellent negotiation skills to negotiate the best prices and deals with vendors. • Must have good organizing skills to arrange and maintain records of available stocks effectively. 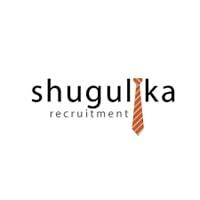 Qualified candidates send CV and cover letter to luisia@shugulika.com and ikram@shugulika.com before 19th April 2019. Only shortlisted candidates will be contacted.